When I arrived in Wichita I was hoping to hook up with Bob Holliday, we had not seen each other for over twenty years but our lives have followed similar tracks having both transitioned from bicycles to aviation. Anyway Bob had flown down to Lake Texoma for a little fishing, so his wife Ruth gave me directions to the glider port. When I got there the wind was a little strong, so I wandered around and checked out the gliders in the hanger. 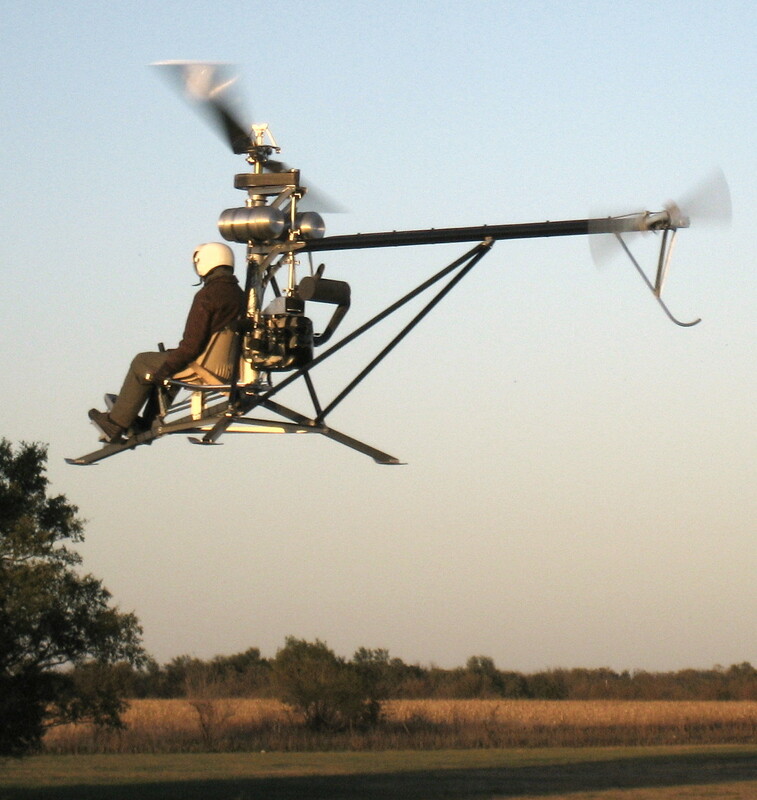 I met a mosquito (helicopter) pilot named Doug Bryant who had the most amazing little machine. It’s a Far 103 legal helicopter. He stays pretty close to the ground and close to the field because he is new but it’s got enough range to do some mild XC flights. I couldn’t help thinking that this was an expensive toy because it didn’t have the range of my PPG and the pilot was shy of leaving the confines of the airpark. Last hour of light the wind came down and I went for a nice exploratory flight. I had to abort the first launch but it was a non event. The second launch was fine and I climbed to 100 feet to get the lay of the land. I noticed that the motor was sounding weird more throaty and the power was lacking. I had test run it earler when I put in the larger jets and it seemed ok but there was deffinitly something different now. I thought that perhaps I needed to try another jet but later, aftr landing, I discovered that I had left the choke on. No damage but I’m beginning to think the clip to hold the cable may not be such a great idea.